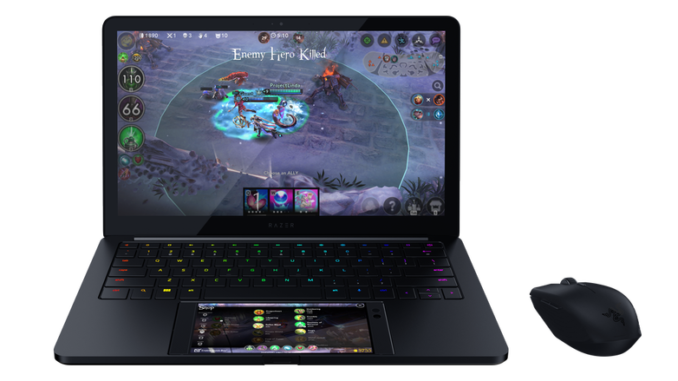 CES 2018: Is Razer's New Phone Powered Laptop Be Great for Editing? HomeFilmmakingCES 2018: Could Razer’s New Phone Powered Laptop Be Great for Editing? It’s CES, so chances are we’re going to see a uniquely designed laptop by Razer grabbing all the attention. Last year, it was the three screen laptop called Project Valerie. People liked it so much that someone stole it. This year, it’s Project Linda – a 13″ laptop that’s powered by a mobile phone. 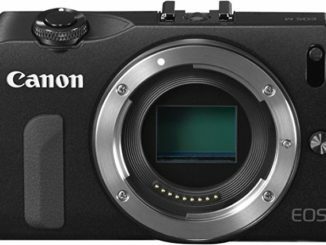 Could that be the killer tool for editing your film while on location? 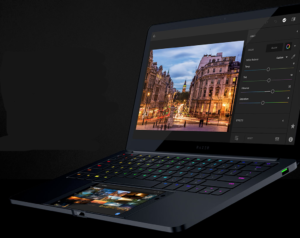 Could Razer have the next great editing laptop design? The Linda laptop is basically a shell that you slide a smartphone into, to provide the processing power for everything you do. It has a 13″ LCD touch screen with a resolution of 2560×1440, capable of showing video at 120Hz. There’s also a 200GB SSD drive, standard USB A and USB C ports, backlit RGB keyboard, and a huge battery that doubles as a charging dock for the mobile device with a capacity to charge your phone 3-4 times. The smartphone can also work double duty as a touch display for custom applications. 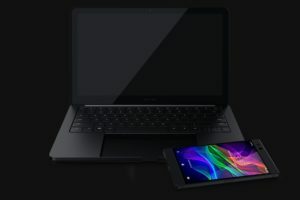 The heart of the laptop is Razer’s 6″ Android phone, which contains a Qualcomm Snapdragon S35 chipset (I suspect this is the real project that Razer hopes to sell). Being an Android device, the Linda laptop runs on Google’s open source mobile operating system, but with the closer marriage between Chromebooks and Android happening, Linda could probably port over the latest Chrome OS which is capable of running Android apps as well. Even a Windows version is certainly possible. Such a laptop would likely be powerful enough to cut video because Razer’s business is creating hardware for high impact video gaming. That’s plenty of power for editi‹ng and encoding. But here’s the reality of it. Has the Valerie 3 screen laptop hit the market since it won Best in Show last year? No, not even close. Neither did the modular desktop device that Razer created before that. Like CES in general, Razer has a reputation for showcasing what if products that become vapor ware and never see the light of a showroom floor. But there’s nothing stopping Razer from making it a reality. Mobile devices are already powerful enough since they running in quad core configurations that make them as powerful as laptops. This is what’s pushing the industry towards a “post PC world,” if you believe the Apple hype machine. 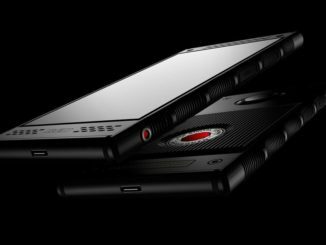 Consequently, with all that power in the palm of their hands, mobile filmmakers are already shooting, editing and color grading their short films using their iPhones right now. So why not create a terminal shell that would house their phones and let them do double duty? It would certainly be a boon for Razer who could sell both products in tandem. It really comes down to software integration, that goes beyond the basic editing and color offerings, we find in the iTunes App Store and Google Play. You’d need a slimmed down version of Premiere, or Final Cut Pro running in such a configuration to get it really happening, and that has about as much of a chance as we have of seeing that three screen laptop hitting the market.